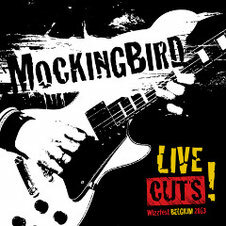 Irish trio MOCKINGBIRD will release their fisrt album "LIVE CUTS!" through Bird Rock Records on July 20th. 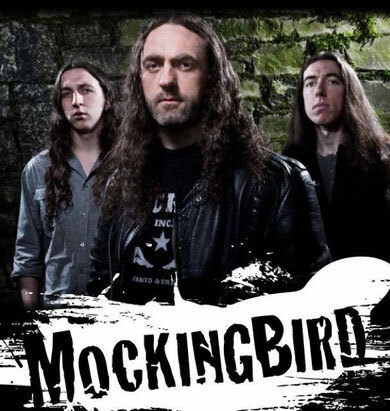 The Japan version, including a custom MOCKINGBIRD plectrum, will be out on June 15th, ahead of the release in other countries. It's an uncut live album, and all tracks were recorded at WIZZFEST, they performed, in Belgium in March 2013. MOCKINGBIRD was formed in 2010 by Ian O'Sullivan and brothers Noel & Phil Cunningham, to strip it back to basics, pump up the volume and simply ROCK as their mission. This attitude is reflected in their storming live shows where their own songs sit quite comfortably side by side with classics from the likes of AC/DC, Judas Priest or Free. In 2011 the single "Steal Your Heart Away" hit no.2 in the Irish Download charts and the band followed this up in 2012 with their debut EP "Fresh Cuts", the first run of which sold out quickly at live shows. 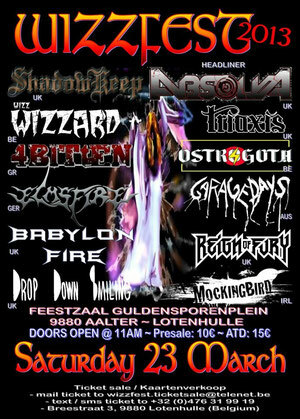 You can enjoy their energetic live performance at WIZZFEST 2013 with the album "LIVE CUTS! ".